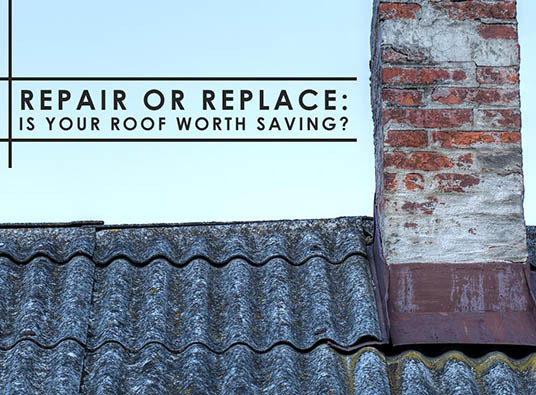 Repair or Replace: Is Your Roof Worth Saving? Rarely a roof keeps all of its original parts until the end of its expected life span. Timely repairs are necessary to replace damaged components. This is why most problems don’t automatically merit a re-roofing project. Certain fixes would suffice to keep your roof last for as long as possible. Getting your roof professionally inspected every now and then is key to monitor its condition. Routine evaluations allow pros to go up there and get a closer look at your roofing system. They could assess visible signs of damage or discover the ones that would otherwise stay hidden and worsen without getting addressed. At Kroll Construction, we document everything we see when we climb onto your roof and base our recommendations on what we find. We’ll provide you a written report and exhaust all possible repair options before suggesting a complete replacement. We’re one of the few roofing contractors that eliminate the guesswork and produce honest assessments for better decision-making. Whether you notice anything wrong after a storm or not, it’s best to get your roof inspected thoroughly by professionals. Sometimes, storm damage doesn’t make itself obvious right away. It would remain out of sight, allowing it to get worse over time. While it can help to inspect your roof from the ground, glancing at it would hardly reveal the entire picture. Instead, allow our professionals to investigate and detect red flags. We follow a proven method to leave no areas unchecked. Just like in regular inspections, we only recommend all possible repairs as long as they would suffice to restore your roof’s structural integrity. No roof can live forever. If you have an asphalt shingle roofing system, celebrating its 25th birthday should indicate that it’s approaching the end of its service life. Even if your roof looks intact from the ground at 40, a major storm could easily ravage it without a warning. Let Kroll Construction help you determine the health of your roof in Detroit to tend it properly. Call us today at (888) 338-6340 to schedule your FREE roof inspection and get an estimate if any repair or a replacement is necessary.